This project leaded by Ana Sala aims to be an instrument of trans/cultural dialogue, a bridge between Europe and Asia, East and West, as the city of Istanbul is for his geographical location. We are interested in investigating the use of cartography as a exploration tools. Familiarity of this format allows us to subvert its conception, its consumption and its use. In other word, rewrite a new reality. 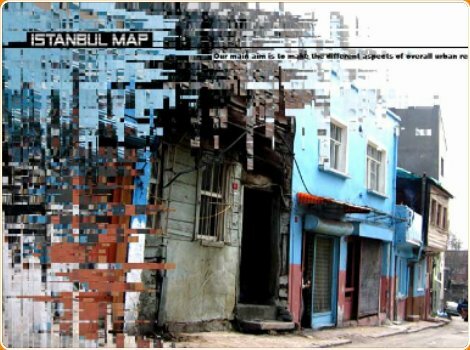 The Istanbul Map is a ironic game where users are invited to discover a new mapping of the city. 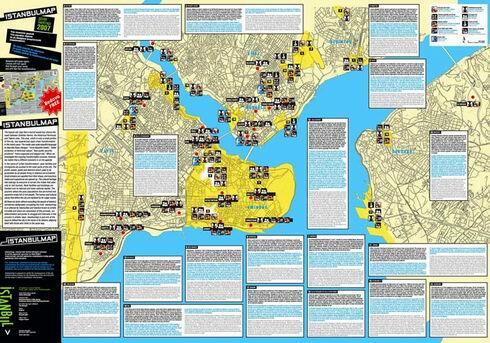 The process of developing the map is the result of participation and exploration of activist community in the city; a mixture of creativity and knowledge, a visualization format on continues trasformation, a test on what can be planned and what is accidental, an alternative way to define the processes of memory construction in any cultural context.